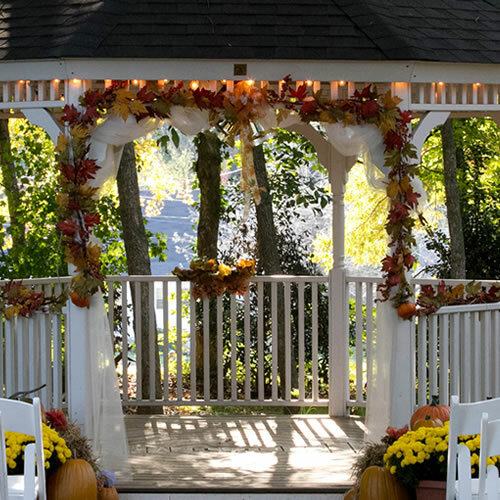 From small intimate gatherings in one of our historic dining rooms to large celebrations at our garden gazebo, we can accommodate your needs for up to 200 guests at Cooper’s Landing Inn & Traveler’s Tavern. 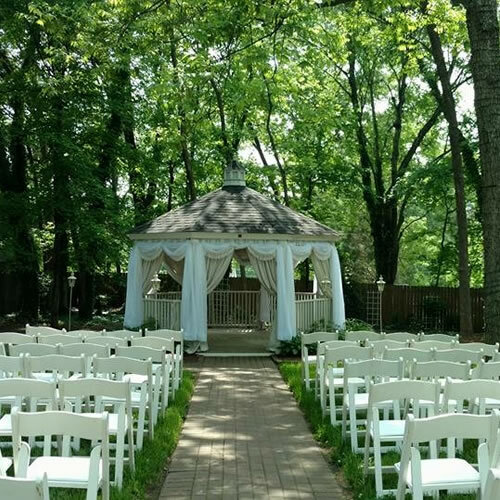 If you are looking for a Waterfront Event Space for your Wedding or Special Event check out our sister property Turtle Cove which can accommodate up to 400 people and is just 8 minutes from the main Inn. As the original nursery of the 1830’s plantation home, we wanted to bring this unique space back to life. This quaint space boasts original bead board ceilings and wooden plank floors. 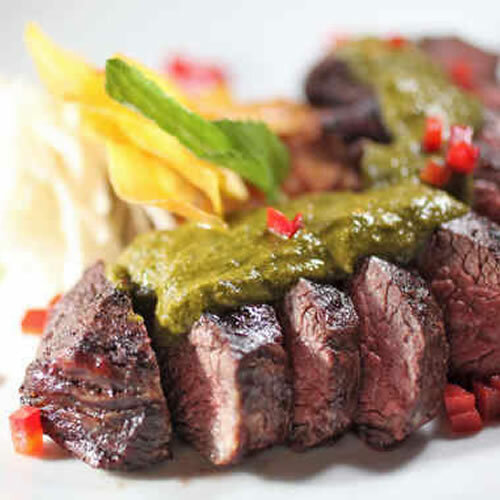 It is the perfect spot for your private birthday celebration with family or a dinner with girlfriends. 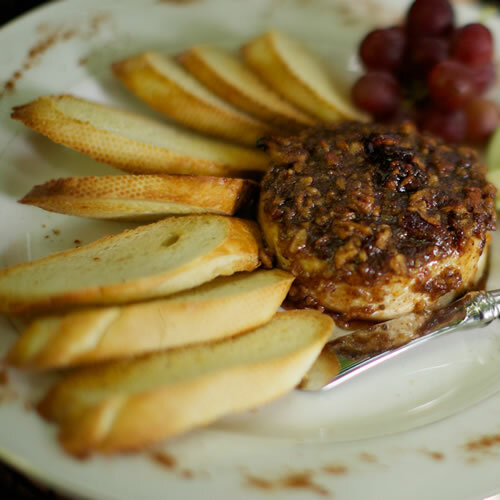 It can also be reserved for our “Private Romantic Dining for Two” or we can deck it out with rose petals and candlelight for the perfect proposal. 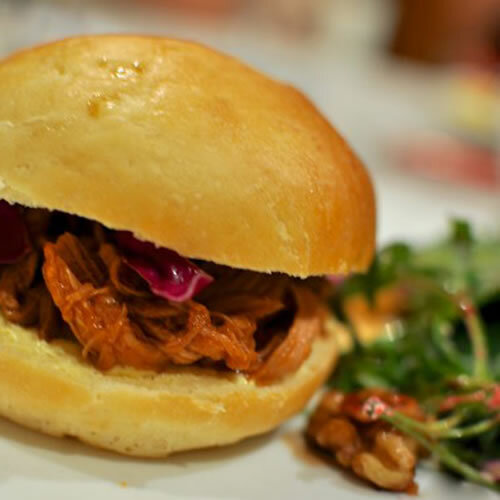 This space is available for private events or regular restaurant dining. 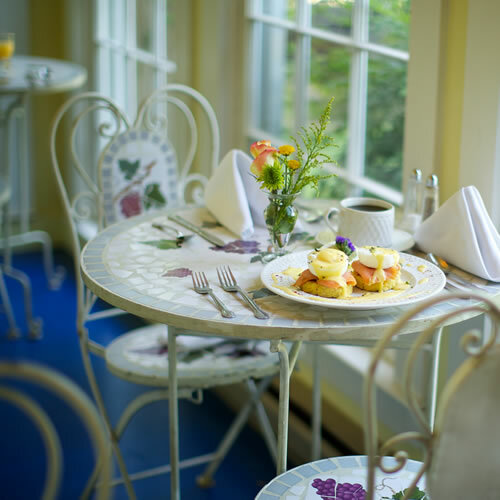 The light and airy feel of the sunroom make it a perfect choice for guests of the Inn for breakfast. 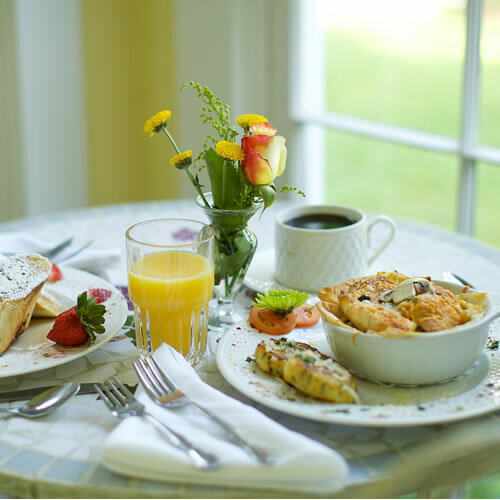 The sunlit room features three mosaic tables for two. 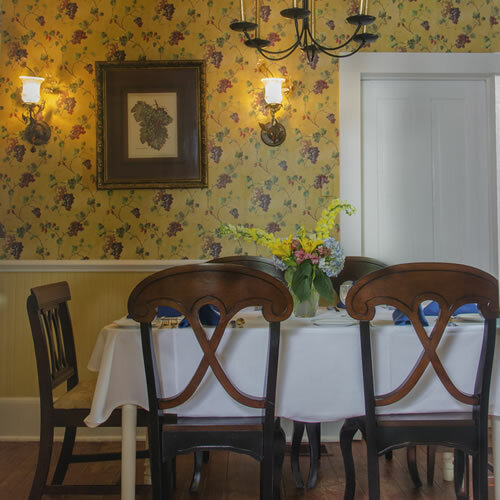 Some guests like to dine in this space for regular restaurant meals as well. 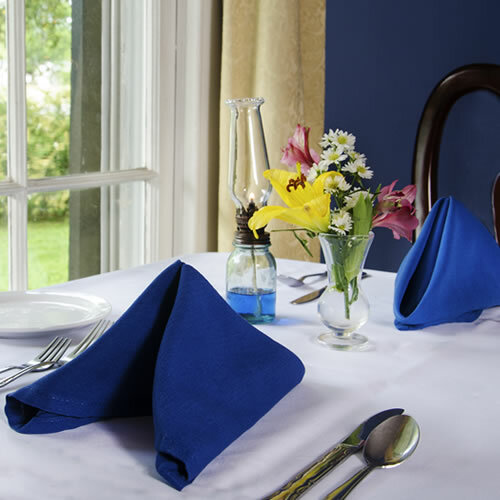 The sunroom is typically reserved for Inn breakfasts but you are welcome to request a table in here for a special private dinner. 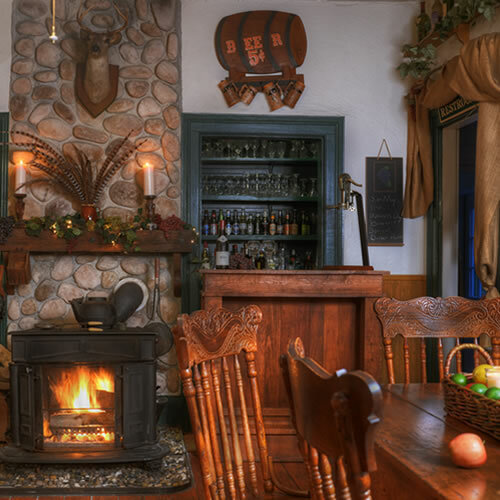 Think English Tavern! With original plaster walls and a stone fireplace with a mantle made out of wood from the last standing Tobacco Warehouse in town this room is stepped in history. 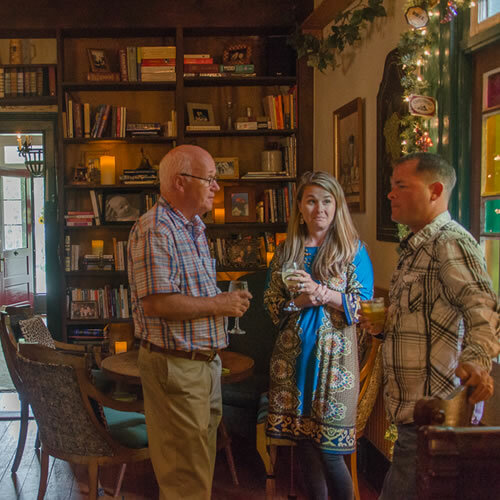 Your event will be enhanced by the original woodstove burning as the focal point of the room and the red tavern “pulpit bar.” This space is a great spot to meet for appetizers and a drink. 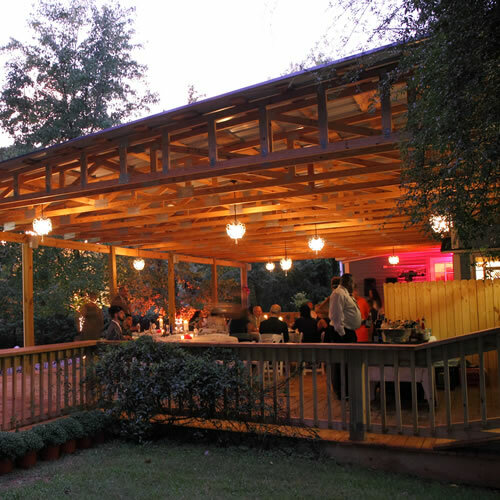 It is accessed from the trellised patio on one side and the covered deck on the other so it can be incorporated into your event layout. This space is available for private events or regular dining or just a spot to meet and cocktail! 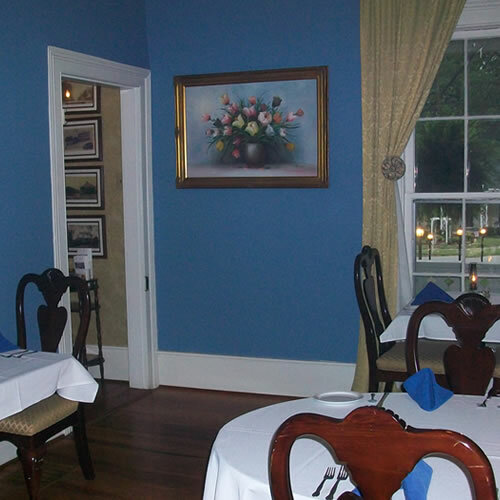 The Blue dining room is a private dining space that is elegant and traditional in its style. 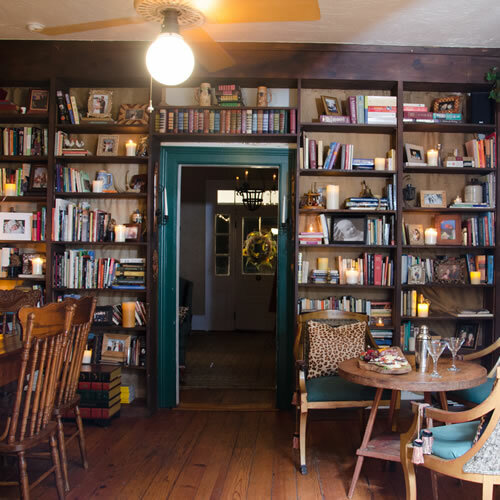 It is located on the first floor of the original 1830’s home and is enhanced by a gas fireplace and wide plank original wood floors for ambiance. This space is perfect for your indoor wedding next to the fire or small gatherings such as bridal luncheons, showers, corporate retreats, or rehearsal dinners. This space is available for private events or restaurant dining. 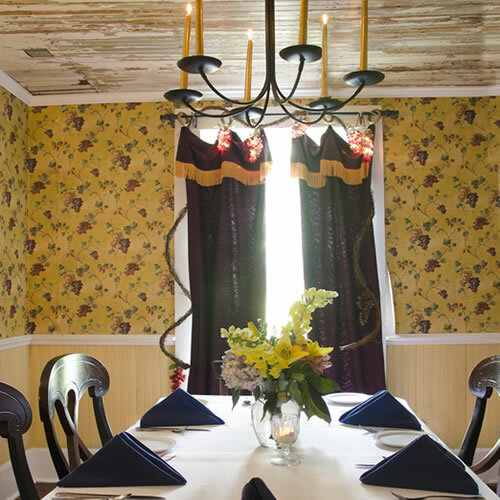 The Yellow dining room is our brightest and biggest indoor dining space that is lively and traditional in its style. 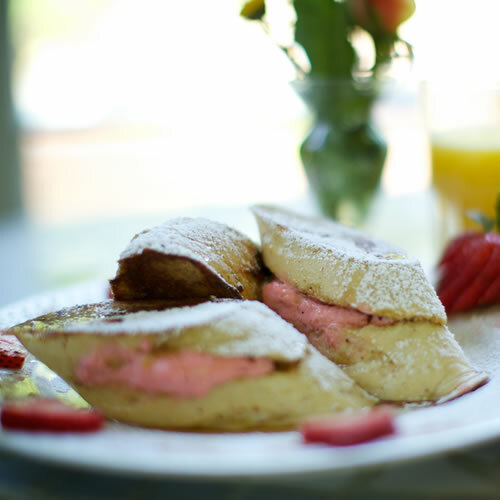 It is located on the first floor of the original 1830’s home and is enhanced by an original brick mantle. 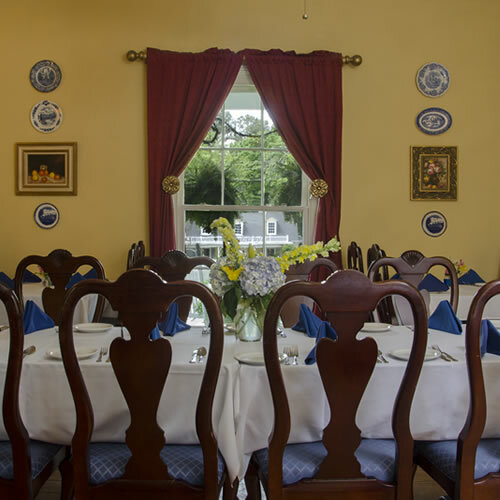 This space is perfect for your indoor wedding next to the fire or small gatherings such as bridal luncheons, showers, corporate retreats, or rehearsal dinners. This space is available for private events or restaurant dining. 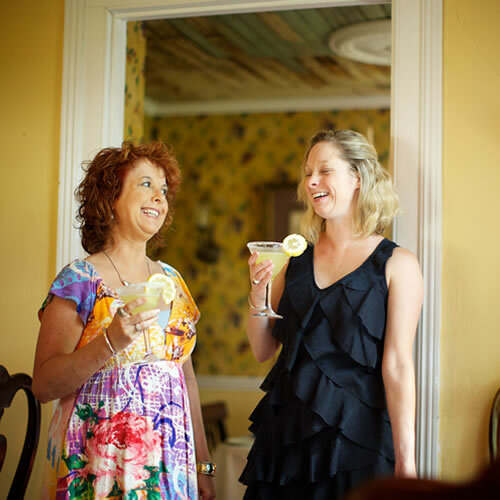 The entire first floor of Cooper’s Landing is available for your special events including milestone anniversaries, indoor wedding receptions, family reunions, birthday celebrations, or corporate events and retreats. This outdoor space can be divided into a lower patio and an upper patio. The floor is a brick patio and this space has a lush garden feel. 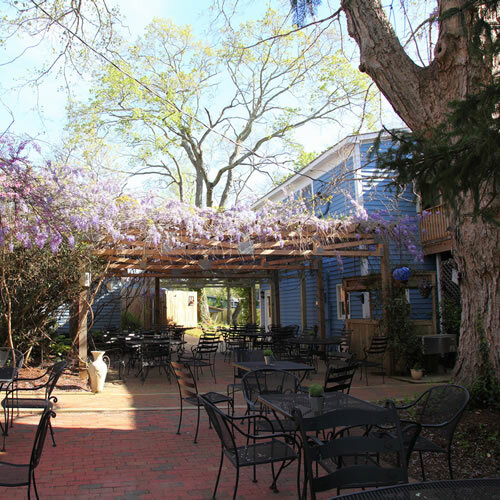 It was named one of the “10 best patios for dining” by Virginia Tourism Corporation. 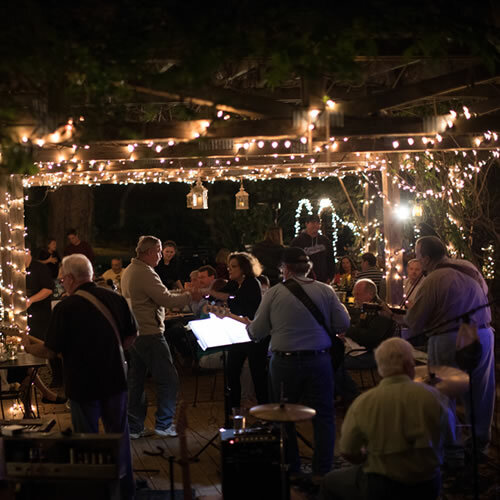 In the summer months we use this space for our “Live Music Under the Stars” summer music series every Friday night. 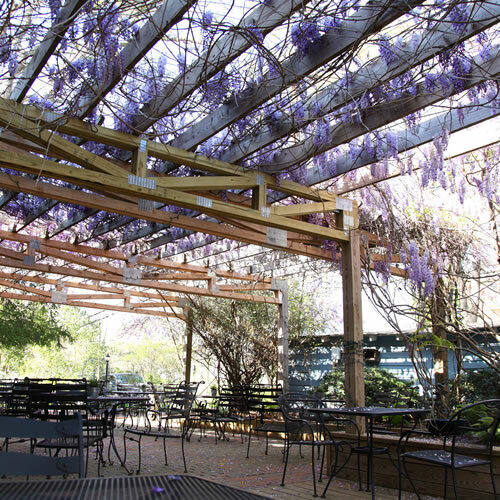 The upper portion is trellised and covered with wisteria. In the months of April and May the blooms are absolutely amazing. 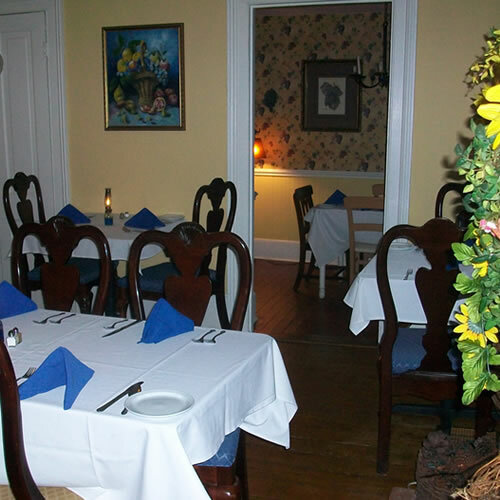 This space is regularly set with black iron tables and chairs and is used for dinner service. 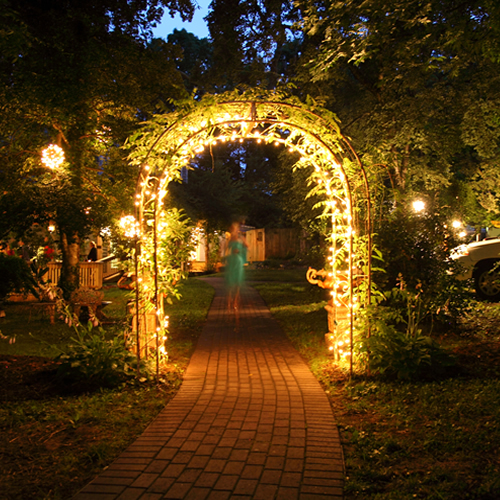 The entire trellis is also wrapped in twinkle lights making for a very romantic evening setting. 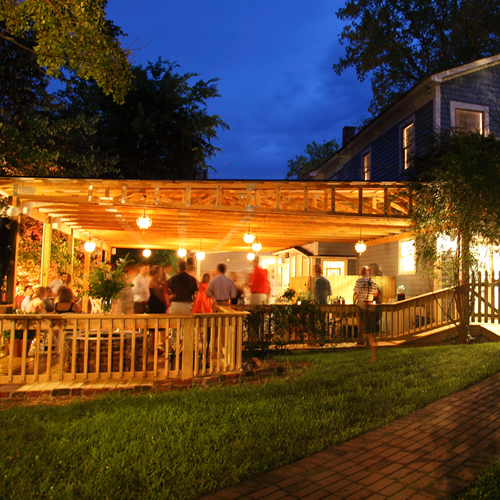 It also houses our wine bar, “our bathtub of beer,” and a small wooden deck we use as a dance floor. This space has outdoor speakers throughout and a receiver where we can play your i-pod playlist or our house satellite radio. This space is perfect for a live band or dj and has adequate electrical. 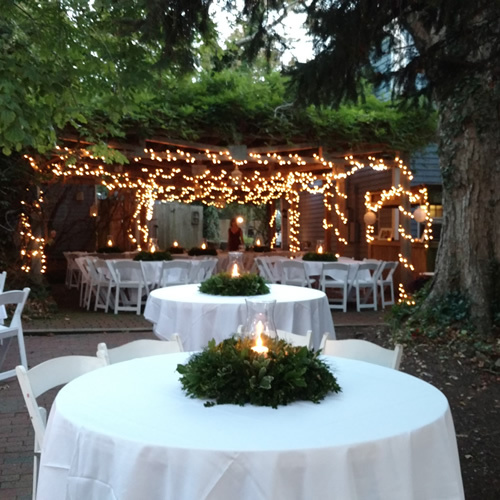 For weddings and special events, we transform this space by moving all iron tables and chairs and replace them with 60inch rounds and white wooden chairs. This space is available for private events or restaurant dining. This outdoor space includes the use of the pool patio and covered deck. The pool patio can seat 60 guests and the covered deck can seat 60 guests with room left for a buffet, dance floor, and cake table. 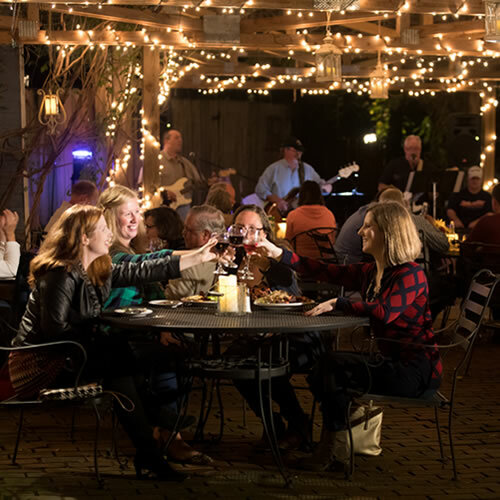 If you are having a plated dinner and do not need space reserved for these items then the covered deck can seat 100 people alone and if combined with the pool patio you can seat 160 people for a plated dinner to increase your maximum guest count. 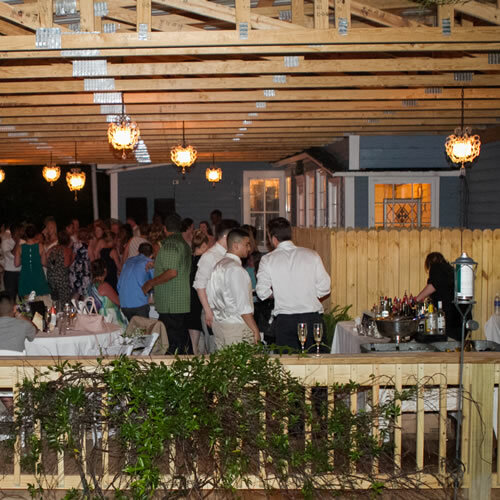 The covered deck is graced with 12 crystal chandeliers that are all on a dimmer to set the mood for your event. It is also enhanced with outdoor speakers where we can play your playlist through our house receiver or our house satellite radio. There is also adequate electrical for a dj, band, or your slide show. 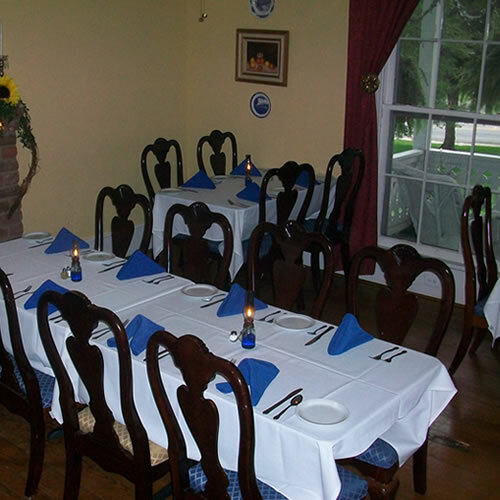 This space can be set with tables and chairs for wedding receptions, family reunions, rehearsal dinners, or birthday parties. This space can also be set with bistro tables for the perfect cocktail hour. 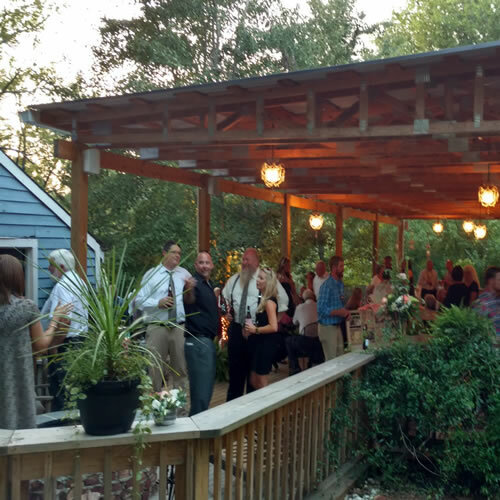 On the lower part of the deck is our uncovered brick fire-pit which is perfect to cocktail around or a great location for your event’s S’mores station. The covered deck is attached to our pool patio. 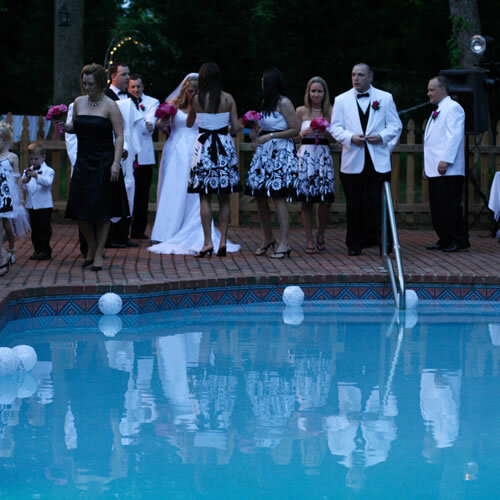 The brick pool patio is regularly set with metal loungers and tables for pool guest, but for special events these are moved and the space can be set-up anyway to fit your needs. 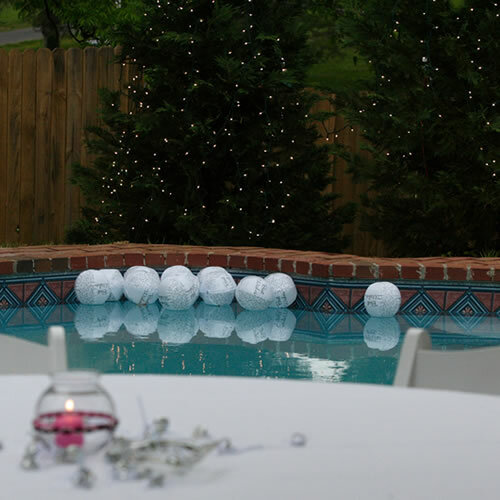 The pool is enhanced with “mood” lighting and there are twinkle lights throughout the trees. 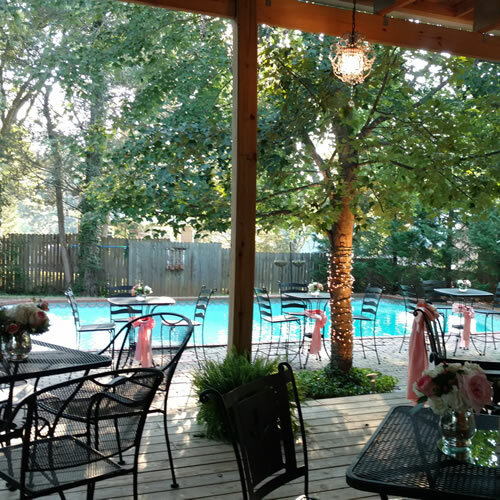 This space can also be booked for your private pool party for your child’s birthday party, oyster roast, or barbecue next to the pool. 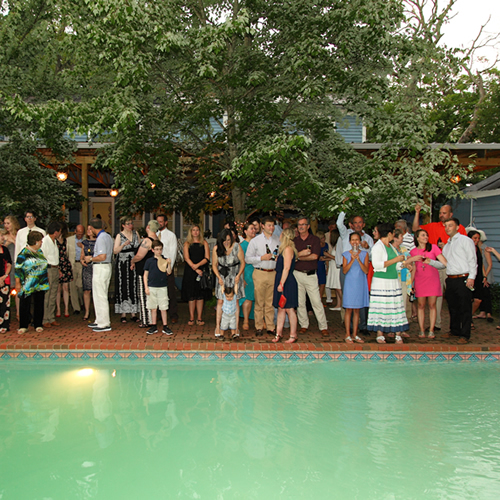 This outdoor space is mainly utilized for our wedding ceremonies; however, it can also be used for a sit down dinner or cocktail reception. 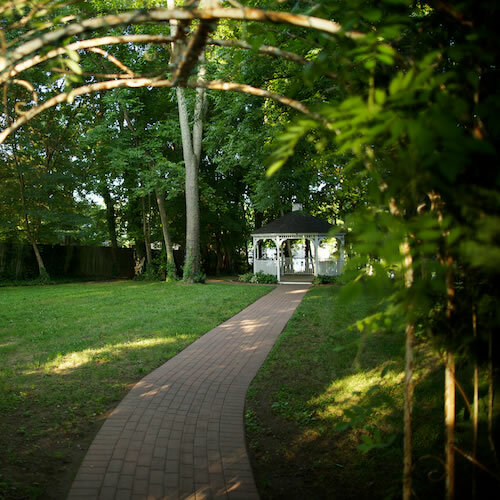 This grassy wooded area is where you will find our wedding gazebo. The shade and trees in this area will make you feel like you have been transported to a secret garden. 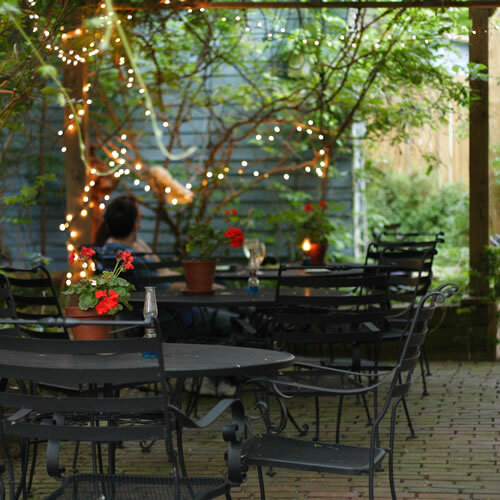 This space is accessed by a brick walkway from the main Inn. There are outdoor hidden speakers throughout this area that have the capability to play your i-pod playlist or hook up to our house satellite radio. There is also adequate electric for a band or dj in this space. 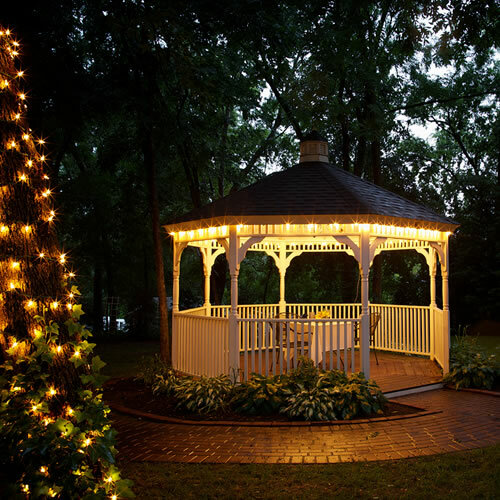 The large maples in this area are wrapped with twinkle lights and the gazebo has a hanging chandelier and lights around the main perimeter. The sun sets behind the gazebo. 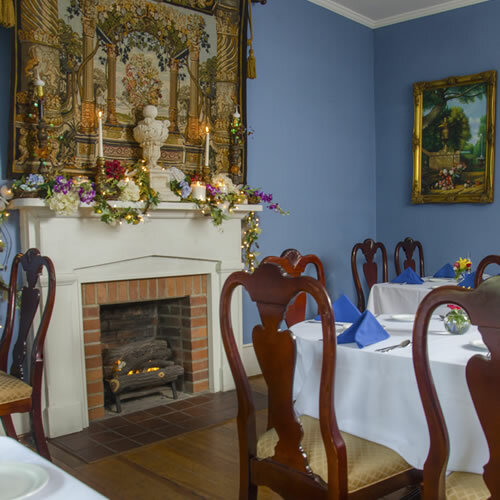 This space can also be reserved for our Romantic Private Dining for Two with advance notice. 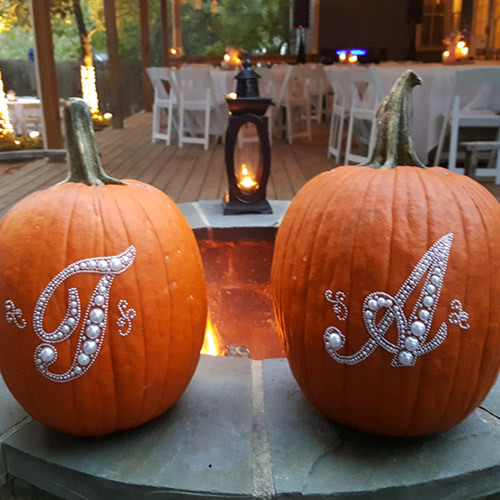 If you are looking for a Lakefront Event Space for your Wedding or Special Event check out our sister property Turtle Cove.